A few much larger houses appeared. This two-story one, built by E. A. Maund, was leased on completion to the BSA Company and used by officials including Rhodes until 1923, when it became the official home of resident commissioners. 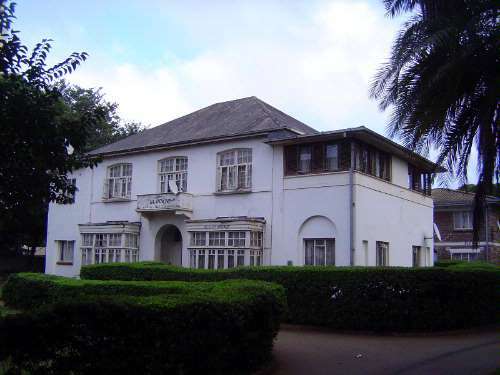 Eventually it housed ministers of the Crown; now it provides accommodation for officers of the Zimbabwe Air Force.